High school can be tough enough without having to manage traditional braces. 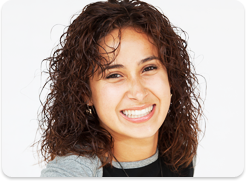 Our Ephrata PA orthodontist has recommended Invisalign to many teens who qualify as candidates. These clear, custom-made aligners allow for the same orthodontic progress that traditional braces would provide without the need for uncomfortable brackets and wires. Most teens do not look forward to having braces in their prom pictures. Our 5-star orthodontist in Ephrata understands that you want to have effective orthodontic treatment, but our Ephrata PA orthodontic office wants you to proudly smile through the process as well. The clear aligners allow for teens to smile for events, dances, and daily classes without hesitation because of insecurities in their smile. 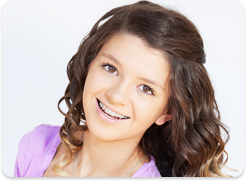 Traditional braces are not always the most conducive options with high school activities. When you wear traditional braces while playing sports, a mouthguard is often necessary to protect both yourself and those around you. Likewise, traditional braces can often make playing some instruments, like the tuba or saxophone, challenging as well. With Invisalign, neither of these are issues. You can simply remove the aligners as needed. Our Ephrata PA orthodontist just reminds you to reapply your aligners immediately after finishing the activity. Our Ephrata orthodontic office is happy to schedule a consultation with your teen if they are interested in Invisalign. Our Ephrata PA orthodontist will determine whether their smile is a good candidate for Invisalign. Most teens qualify, and so long as they follow the prescribed procedure, the results are just as significant as those achieved with traditional braces. The information provided in this article is not meant to be medical advice and is for educational purposes only. If you would like to learn more about this and other topics related to orthodontics, feel free to contact Spark Orthodontics, with a convenient orthodontic office location near Ephrata PA, by clicking here or by calling 610.865.2777.